Please make sure that you have read and understood the Terms & Conditions before registering for the Lindy Bug Festival 2018. For any information and questions that you might have you can also visit the FAQ and Useful Info pages or contact us directly. Swing Steps Bucharest (as an entity/organization) will be referred to as SSB in the Terms & Conditions stated below. By filling out and submitting this registration, the registering person is confirming his or her intent to participate to the Lindy Bug Bucharest 2018 Festival. In the case of a couple registration (by placing two products in the shopping cart), the registering person states both participant’s consent to attend Lindy Bug and holds responsibility for the total couple amount payment relevant to the respective pass. All the participants during the Festival agree to these Terms and Conditions and Code of Conduct, as well as to later instructions given by the Organizers and other persons involved in the Festival. Participation to the festival is restricted only to persons that have registered and completed registration by finalizing the payment successfully. If you experience any problems with the payment please follow the instructions in the FAQ page. 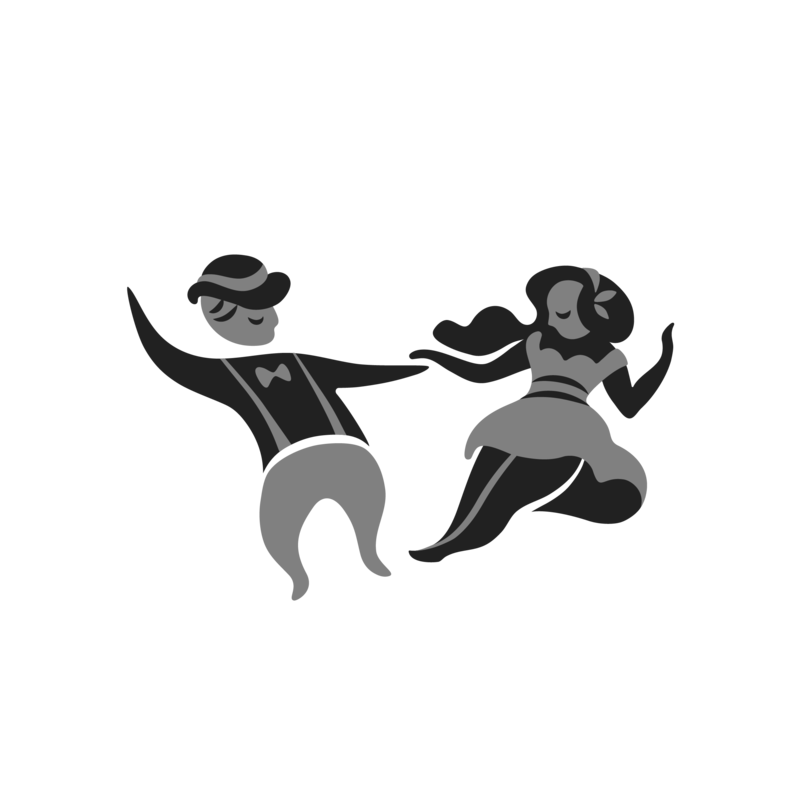 Holders of tickets bought by any other means than through the swingstepsbucharest.com website or by exchange with another ticket holder without prior knowledge of SSB will be refused entry to the Festival, and no liability will attach to the SSB in such event. The only payment method accepted is online payment by credit/debit card. For exceptional cases payment via bank transfer can be accepted with prior agreement from SSB as described in the FAQ page. Your credit/debit card will be debited ahead of time, at the moment of registration, before the beginning of the Lindy Bug Festival 2018. Registrations/tickets to the Lindy Bug 2018 Festivals are NOT refundable. Once you have registered you have committed to participation at the festival. Refunds will only be available if the Festival is cancelled or entirely rescheduled. If you are no longer able to attend to the festival you can re-sell your registration to somebody else (preferably of the same level and role as you) by going through the procedure described in the FAQ page. Changing the name of the registration can only be administered by SSB through the procedure described on the FAQ page – and it is done to the extend that the change in name does not affect the lead/follower distribution. If the owner of the registration sells his/her registration but does NOT inform SSB of the change, the new owner will be denied entry to the festival, so please contact SSB to inform us of the change. Registrations are changed/re-sold entirely at the risk of the original and new bearers, SSB accepts no responsibility for problems arising from third party transactions. No more than two participants shall be admitted on the same registration. After payment completion is done you will receive an e-Ticket email. This ticket MUST be PRINTED and you must bring this ticket with you at the festival. Tickets are transferable for a wristband on arrival at the festival site. Participants MUST present a form of valid ID card which has the corresponding national identification number as the presented e-ticket/registration. If the ticket holder cannot present a valid ID card or if the ticket does not match the presented ID card, then admittance will not be permitted to the festival and NO REFUNDS will be provided. SSB organizers do not take responsibility for accidents or losses, thefts or harm that occur to participants at the Lindy Bug Festival for whatever reason, unless such harm comes from the fault of the SSB organizers themselves. Please be aware of your surroundings and make sure your are safe at all times. Practice caution in all decisions and prioritize your well-being above all else. The Lindy Bug Festival organizers do not take responsibility for changed events and unforeseen circumstances (e.g. illness of instructors) and their consequences. The Lindy Bug Festival organizers reserve the right to make reasonable changes to the schedule before and through the duration of Lindy Bug Festival 2018. If the event is canceled by the organizers refunds will be available. Swing Steps Bucharest reserve the right to use any photographs and film taken during Lindy Bug Festival 2018 for promotional reasons. This media is owned by Swing Steps Bucharest. By attending the event you give Swing Steps Bucharest the permission to use this media. No animals will be allowed on to the site during the Festival (classes or parties), with the exception of guide dogs. Participants will not be permitted entry to the Festival whilst in the possession of the following prohibited items: any professional audio, audio-visual, film, or video recording equipment, items that may be used in a dangerous or threatening manner, knives of any description (and any other sharp items), alcoholic drinks, cans, glass bottles. Illegal substances are strictly prohibited at the Festival. Any person found in possession of such substances will be denied entry and / or removed from the Festival, and Police will be called to attend. Participants will respect the indications of the teachers and organizers.